"Suarez Navarro is yet to win a set this year on grass, despite being pre-match favourite in both her losses, and I feel Witthoeft's line has been influenced by a bad run on clay, where she has lost her last six." Day one at Wimbledon saw us bag two winners, with Kristina Mladenovic covering the game handicap in an eventual stroll against Anna Schmiedlova, while Lesia Tsurenko's straight sets win over Timea Babos, who has an awful record on grass, bought up the double. We did however, lose Coco Vandeweghe from our outright portfolio, with the American picking up an injury in play against Katerina Siniakova. Julia Goerges, though, did ease into round two with a straight-set win over Monica Puig. We also saw British wild-card Harriet Dart acquit herself superbly against Karolina Pliskova, with the Czech big server needing three sets against her lowly opponent, and a shock as Elina Svitolina was dumped out by Tatjana Maria - although my model did indicate value on the German. As for today's schedule at SW19, there isn't an abundance of tempting betting options. Some heavy favourites - Jo Konta, Jelena Ostapenko and Darya Kasatkina in particular look short-priced, but I want to discuss a couple of matches which are priced a little more competitively. In the first, Maria Sakkari is again being hugely respected by the market as she takes on Sofia Kenin. The Greek player, Sakkari, is currently [1.83] on the Exchange, and I make her a false favourite here. She's not got a great record on grass at all, while opponent Kenin comes into the event in good touch following a run to the semi-finals on the surface in Mallorca several weeks ago. Sakkari being over-rated by the markets isn't anything new, and with her break point performance far exceeding her expectation this year, mean reversion is surely just around the corner. Taking Kenin at [2.18] can be considered. In addition, I do like the chances of Carina Witthoeft as an underdog against the Spanish clay-court veteran, Carla Suarez Navarro. Over the years, opposing CSN when a poor value favourite hasn't always gone my way, but I do feel that the German has an excellent chance at the current 13/8 with the Sportsbook. 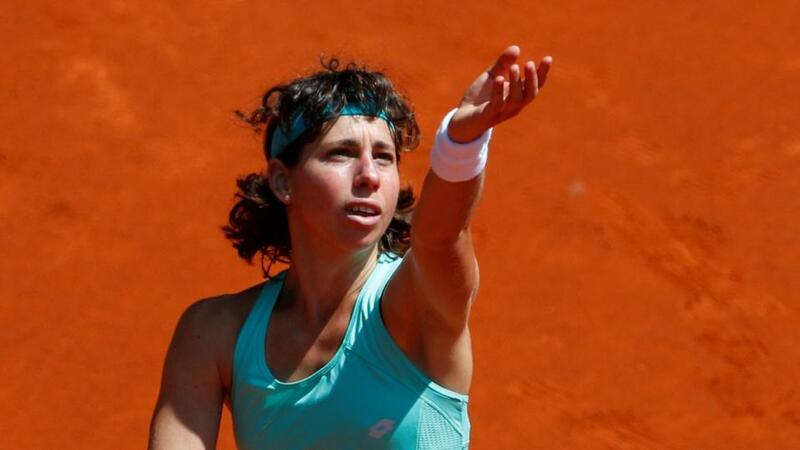 Suarez Navarro is yet to win a set this year on grass, despite being pre-match favourite in both her losses, and I feel Witthoeft's line has been influenced by a bad run on clay, where she has lost her last six. Given Suarez Navarro's mediocre medium-term data on grass, I'm happy to take a chance on Witthoeft as an underdog here - she performed very solidly on grass last season and I also expect her price on the Exchange to rise a little if you are patient. In other matches, Ana Konjuh should be too good for Claire Liu if she's remotely fit - sadly far from a given though - while underdog watchers might wish to focus on Gabriella Taylor's match with Eugenie Bouchard. The Canadian comes into the event having had a torrid year and Taylor is a player on the up, and has plenty of experience on grass - the Brit may prove value at [4.10].